You needn’t be a connoisseur to understand the value of quality wine. Riedel’s decanter selection boasts unmatched quality, and the company’s focus on glass quality, confident design and durability make Riedel decanters a truly superior option. Decanting vintage wine, just before it’s served, ensures brilliance and clarity. You’ve probably tasted sediment, and it may have caused you to swear off wine forever. Sediment builds over time, and it’s an unavoidable trademark of quality wine. But a solid decanter can match a young wine’s consistency with one that’s aged for many years. As far as decanters go, none exceed Riedel in terms of lasting power. A lot of wine-lovers turn to wine decanting to ensure total solubility and taste quality. Sometimes, restaurants serve decanted wine rather than serving the vintage in its original bottle. That said, not every wine needs to be decanted. In short, a wine decanter is a wine storage container. While seemingly basic, a wine decanter needn’t rely on a fancy stopper, cork or gadget to achieve its goal. A wine decanter’s shape separates a wine from wine sediment, “collecting” the sediment at its bottom. When it’s time to pour, any weighted materials are separated from the stream. Decanters also allow more oxygen flow into wine. Because a decanter, again, doesn’t have a top cork, air can naturally pass into the held wine. Oxygen contact forces wine to undergo chemical changes, increasing palatability. That said, decanted wine must be consumed within one to two hours, or it could spoil. Why Should I Decant My Wines? While wine decanting is quite popular, not every wine needs to be decanted. In fact, decanting is often associated with older port wines and aged Bordeaux. Wines giving off a lot of sediment while aging, typically, are good decanting candidates. When sediment is removed, a wine tastes increasingly astringent. Wine will appear cleaner in the glass when decanted, too. Several wines can’t reach true taste potential without aeration. In fact, a lot of young wines are often passed through decanters to be artificially aged. As a young wine is poured from bottle to decanter, it gathers oxygen and releases aromas. Full-bodied and tannic wines, like cabernet blends, syrah blends, cabernet sauvignon and syrah, benefit a lot from decanting. When Should Decanting Be Avoided? Decanting opponents exist, and they argue against decanting in favor of natural aeration. Swirling wine in a glass, some think, carries the same effect as decanting. In theory, swirling increases oxidation, dissipation and flavor. Swirling, however, fails to separate wine from its sediment. A lot of wine connoisseurs consider decanting to be the best possible route for wine aeration, too. Unless you’re decanting a heavy wine, or an old, red Burgundy wine, decanting almost always enhances flavor. Such wines, highly delicate, don’t need oxygen exposure for a flavor boost. 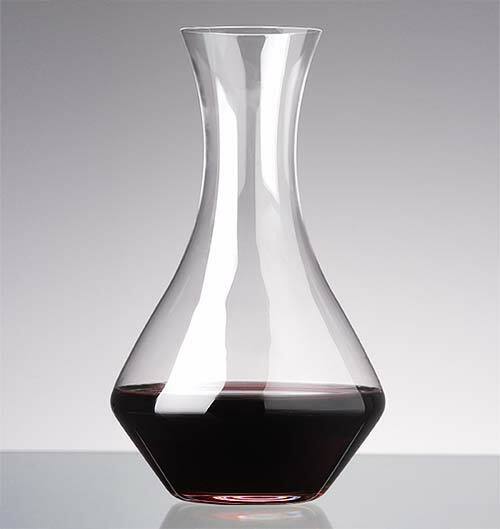 Decanters are, understandably, available in many shapes, and Riedel offers a number of artful and unique designs. Different decanters serve different purposes, and many have been crafted to hold specific wines and liquor selections. Because wine, unlike liquor, carries sediment, wine decanters are typically taller to space out materials. The most common shape of wine decanter is a tall, funnel-shaped vessel, designed to effectively aerate contained liquid with ample oxygen room. Additionally, their tall shape permits more air exposure as a wine is poured. While taller isn’t necessarily better, a lot of wine connoisseurs prefer taller, funnel-shaped decanters thanks to their accessibility, manageability and cleanliness. A decanter’s material can also affect its ability to aerate wine. Those looking for a simple aeration vessel needn’t spend a ton of money on high-end options. Meanwhile, wine connoisseurs can acquire a high-grade decanter to experience a wine’s full potential. 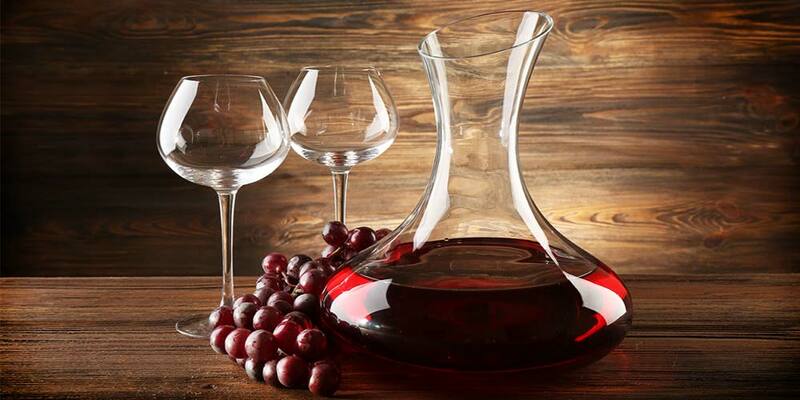 A popular choice, glass wine decanters aerate wine while mimicking higher end decanters. While they may not offer the same clarity or aeration potential of a crystal decanter, glass decanters are frequently adorned with textured interiors and handles to boost aeration. They’re wonderful for service, frequently featured in commercial and home settings. Decanters can also be cut from crystal or lead crystal. Many high-end wines, featured in specialty restaurants and lounges, are served through such vessels. Any lead contained in lead crystal decanters, understandably, is minimal. The material serves in aeration, too. Typically, wine lovers choose crystal and lead crystal decanters for their function and home decor options. Crystal and lead crystal decanters are elegant, artful and effective. That said, they may not contain a textured interior or a handle. Because of the higher price, such features are often left out to maintain a decanter’s affordability. While a lot of decanters boost wine flavor, few come close to Riedel’s excellence. A lot of decanting aficionados, for this reason, prefer Riedel’s approach to wide-reaching, high-quality decanting. Old wines display confidence, and Riedel has crafted its strategy for years to promote attractive, timeless designs. 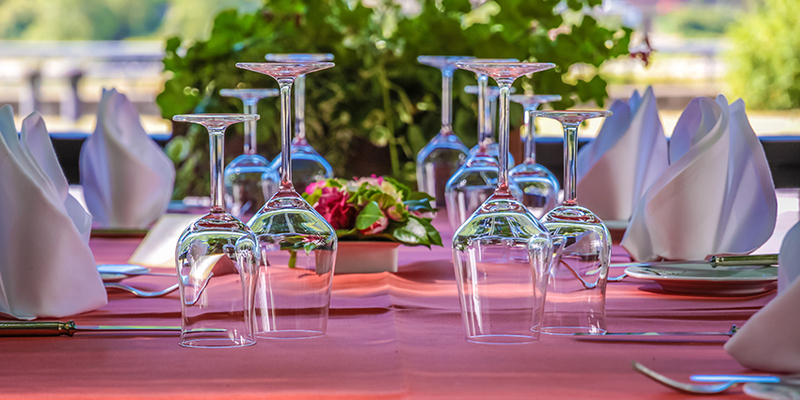 Decanters are available in many shapes, but few brands mesh length, width and height perfection as Riedel has. 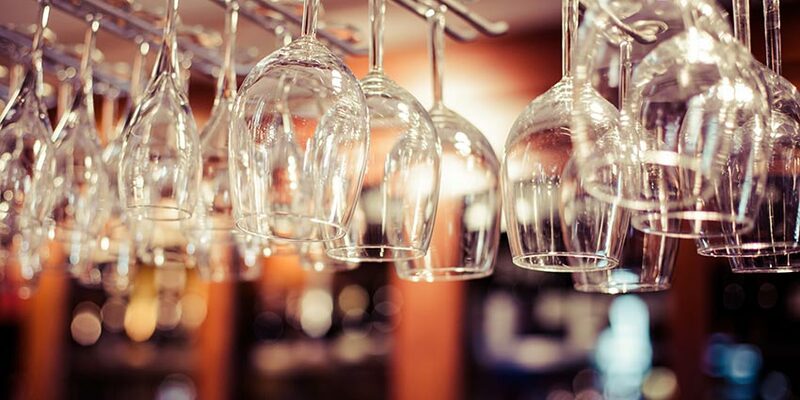 Each Riedel selection, well-crafted and intuitive, creates a perfect environment for quick, yet flexible, aeration. A common drawback of decanting is time. Decanted wine must be served quickly to avoid over-aeration. Riedel decanters, however, create a slow, safe space for wine decanting. Highly effective at decanting, each Riedel selection balances aeration with a spacious interior. Young wines needn’t be drunk within minutes of decanting. Rather, they can be decanted for several hours — giving guests the freedom of pace, taste comfort and relaxation. While a lot of decanter brands effectively separate sediment, many wine connoisseurs still face sediment from time to time. Riedel decanters preserve a wine’s integrity by offering advanced, curved styles to maximize deposit collection. Riedel decanters, when poured, amass a liquid’s sediment across several angles. Timeless in design, a Riedel product is never out of place in contemporary environments. 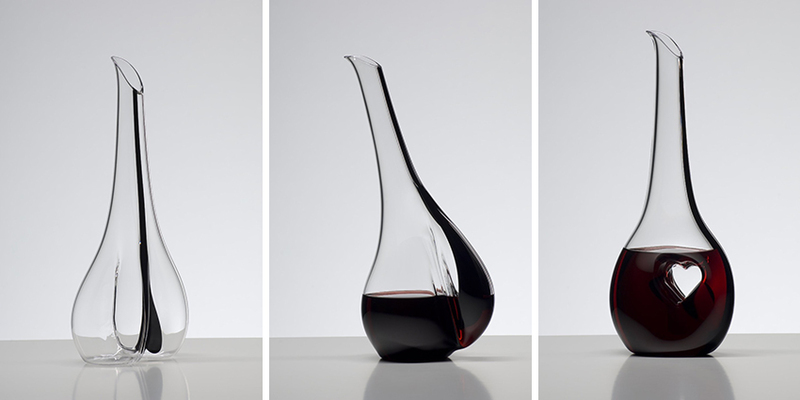 Smooth, conservative and classic, each Riedel decanter collects deposits with precision. Riedel decanters similarly feature advanced interior designs, so as to capture sediment where other brands fail. To enjoy a young wine fully with a decanter, open it for approximately 10 hours prior to pouring. This aerates the wine, shortening the decanting process. A wine’s main preservation element is carbon dioxide, and decanting reduces this element. During initial fermentation, carbon dioxide is directly integrated with wine, and should be later removed to increase taste. When wine is poured into a decanter, the absence of carbon dioxide matures the wine. Additionally, decanted wine promotes fruitier tastes in reds while “smoothing out” tannins. When decanting a young wine, turn the bottle straight into the selected decanter. Let the wine splash across the vessel’s interior to boost aeration. Meanwhile, pour old wines slowly into a decanter. Keep the angle slight, so as to collect excess sediment in the bottle. If you want to test your decanted wine’s taste, decant half of the selected bottle. Then, serve the wine’s other half directly from the bottle.